Massachusetts Governor Deval Patrick has blundered in nominating Joseph S. Berman to be a Superior Court judge. Mr. Berman is a long-time member of the Anti-Defamation League (ADL) and has been a National Commissioner of that organization since 2006. 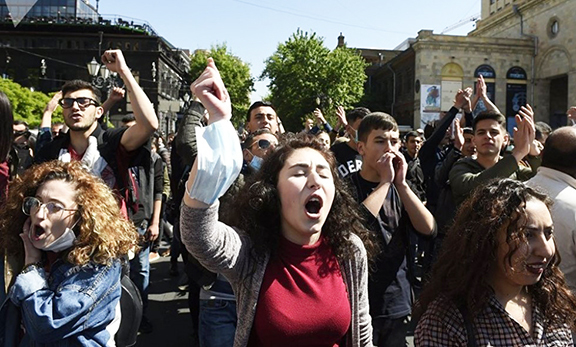 This year, the Armenian people turned the corner on an outdated tradition in which their voices are not heard, their will is not registered, and their sacrifices are not recognized. There are many things that come to mind when you think of Armenia – but the Gampr is probably not at the top of your list. During the period from September 18 to 24 I was anxiously looking at every page of the LA Times to see any article about the 20-th anniversary of Armenia’s independence. Unfortunately there was NOT A .SINGLE WORD ABOUT ARMENIA. With the 100th anniversary of the Armenian Genocide coming up in the year 2015, I thought it would be appropriate for all Armenian organizations and church groups to unite in getting the US Postal Service to issue a US commemorative stamp on the Armenian Genocide of 1915-1923. First, these kinds of actions increase endangering the stability of the Medicare program that is vital in maintaining the health of senior citizens who otherwise could not afford health insurance and second, that Armenians, my brethren, would dare put this kind of a stain on the Armenian community. I read Garen Yeghparian’s latest article in Asbarez., where you had singled out couple organizations, such as ARPA and AESA. The Western Prelacy of the Armenian Apostolic Church of America filed last week a suit against the J. Paul Getty Museum, claiming the institution illegally bought seven pages from a sacred Bible. As an individual of Armenian descent and an art professional, I feel accountability for input in the case of the Western Prelacy’s claim against the J. Paul Getty Museum. I applaud Rep. Adam Schiff, D-Pasadena, with his new campaign to collect and document some of the tragic stories from Armenian genocide survivors who came to America and to include those accounts in the U.S. Congressional Record. For the last 25 years Turkey has continually denied that its intention was to exterminate its Armenian population during World War I and with its well funded lobby has successfully influenced many of our representatives.